A miracle is a change of attitude. A miracle is a shift in perception which leads to a change of attitude in the person who holds the attitude. This is so simple, one wonders why it's such a big deal as to require three volumes totaling over 1,000 pages. My hope is to share with you my thoughts as I worked through the exercises in this workbook over the past twenty years on three occasions and to review the book so that you will come to have an inkling of what miracles are. This is a workbook that is organized into 365 lessons or exercises, one for every day of a year. I began my first year of exercises on May 7, 1981 and reached the Epilogue on May 8, 1983, taking two years to complete the exercises with gaps in between. Later I began a new reading on New Year's Day of 1991 and finished up the book on December 31, 1991, managing to read one exercise a day in my car as I drove back and forth to work for the year. When the Introduction to a book gives two general rules to be followed as one reads it, one would do well to heed those rules. [page 1] The only general rules to be observed throughout, then, are: First, that the exercises be practiced with great specificity, as will be indicated. This will help you to generalize the ideas involved to every situation in which you find yourself, and to everyone and everything in it. Second, be sure that you do not decide for yourself that there are some people, situations or things to which the ideas are applicable. This will interfere with transfer of training. The very nature of true perception is that it has no limits. It is the opposite of the way you see now. The very first lesson begins with "Nothing I see in this room (on this street, from this window, in this place) means anything." That led me to scribble in the margin that "The meaning of things is in ourselves," which presaged the next lesson which says "I have given everything I see in this room all the meaning it has for me." If you have followed this so far, you may already begin to glimpse that a miracle is what occurs when you change the meaning you have given things. The next lesson says, "I do not understand anything I see in this room." and it offers us the freedom to experience our current surroundings with the fresh eyes of a little child. We were all little children once, and that childlike way of viewing the world as a great and mysterious place full of wonder which we would like to understand can be re-enlivened by following just the first three lessons and applying them to everything you see in the room, on the street, in everyone you meet. And as you move to Lesson 7 you read, "I see only the past" and are asked to apply this to everything around you, "I see only the past in this keyboard," "I see only the past in this room," and so forth. Then you realize that your mind is preoccupied with past thoughts (Lesson 8) and realize that you seem to be thinking about this room, this person, etc., but your mind is really preoccupied with past thoughts — that you see nothing as it is now (Lesson 9), and that your thoughts do not mean anything (Lesson 10). [page 16] The emphasis is now on the lack of reality of what you think you think. This aspect of the correction process began with the idea that the thoughts of which you are aware are meaningless, outside rather than within; and then stressed their past rather than their present status. Now we are emphasizing that the presence of these "thoughts" means that you are not thinking. Jane Roberts once asked this question, "From what tree does the fruit drop which appear in mind's basket?" To understand this fully one needs to understand that our past thoughts, our thoughts which do not mean anything, can keep mind's basket full so that no thoughts can fall from that tree into our basket. Only when we recognize the true nature of our mind as an open basket can we perceive the fruit which drops into it, and then we come to really see. [page 16] This is merely another way of repeating our earlier statement that your mind is really a blank. To recognize this is to recognize nothingness when you think you see it. As such, it is the prerequisite for vision. [page 18] This is the first idea we have had that is related to a major phase of the correction process; the reversal of the thinking of the world. It seems as if the world determines what you perceive. Today's idea introduces the concept that your thoughts determine the world you see. Be glad indeed to practice the idea in its initial form, for in this idea is your release made sure. The key to forgiveness lies in it. As I write these words, the world is in the middle of the first war of the 21st Century, the War on Terrorism, and forces are massing for a possible offensive to overturn Iraq's dictator. The words I hear people speaking today are reflected by the sentiment of Lesson 12, in which we are asked to look about us and say to ourselves, "I think I see a fearful world, a dangerous world, a hostile world, a sad world, a wicked world, a crazy world." whereas what we are really doing is getting "upset because we see a meaningless world" as the exercise for this lesson tells us to say. What does all this mean? [page 19, 20] What is meaningless is neither good or bad. Why, then, should a meaningless world upset you? If you could accept the world as meaningless and let the truth be written upon it for you, it would make you indescribably happy. But because it is meaningless, you are impelled to write upon it what you would have it be. It is this you see in it. It is this that is meaningless in truth. Beneath your words is written the Word of God. The truth upsets you now, but when your words have been erased, you will see His. That is the ultimate purpose of these exercises. "God did not create that war, and so it is not real." "God did not create that airplane crash, and so it is not real." "God did not create that disaster [specify], and so it is not real." This is your personal repertory of horrors at which you are looking. These things are part of the world you see. Some of them are shared illusions, and others are part of your personal hell. It does not matter. [page 25] It is because the thoughts you think you think appear as images that you do not recognize them as nothing. You think you think them, and so you think you see them. This is how your "seeing" was made. This is the function you have given your body's eyes. It is not seeing. It is image-making. It takes the place of seeing, replacing vision with illusions. [page 31] The extra repetitions should be applied to any situation, person or event that upsets you. You can see them differently, and you will. What you desire you will see. Such is the real law of cause and effect as it operates in the world. Lesson 23 tells us, "I can escape from the world I see by giving up attack thoughts." Now this seems a bit silly, but remember Lesson 19 above, "cause and effect are never separate." "Every thought you have makes up some segment of the world you see." Given that is so, you must give up trying to change the world or lamenting about how bad the world is, you must instead give up your attack thoughts. The world, rightly understood, is an amplifier that increases whatever you put into it. What would you say to someone who played raucous music on a stereo and complained about the noise it made? The nature of an amplifier is to amplify — to reduce the output you must reduce or eliminate the input. [page 34] There is no point in trying to change the world. It is incapable of change because it is merely an effect. But there is indeed a point in changing your thoughts about the world. Here you are changing the cause. The effect will change automatically. There is a famous Zen story about a Western professor who visited a Zen master in China to learn from him and was invited to a Tea Ceremony. The two are seated and the learned professor watched impatiently as the roshi performed the detailed processes of preparing the water, the tea, and the cups. Finally the professor held his cup while the roshi poured the tea into his cup. When the tea reached the brim of the cup the roshi kept pouring and finally hot tea poured over the side, scalding the professor's hand and forcing him to drop his cup. "What?" the professor exclaimed in exasperation, "Could you not see that the cup was already full and couldn't hold any more tea?" "Yes," replied the roshi, "a full tea cup cannot hold more tea. Could you not see that you brought a full cup of knowledge to this meeting into which you expected me to pour more knowledge?" Did the professor perceive what was in his own best interests? Lesson 24 gives us this exercise to say, "I do not perceive my own best interests." [page 36] If you realized that you do not perceive your own best interests, you could be taught what they are. But in the presence of your conviction that you do know what they are, you cannot learn. The idea for today is a step toward opening your mind so that learning can begin. Everything in your world has a good intention for you. But, as Lesson 25 tells you to practice saying, "I do not know what anything is for." Your ego is not you, but you accept your ego's goals as your own goals. As a result these goals have nothing to do with your own best interests. This confusion makes you incapable of understanding what anything is for. [page 38] Another way of describing the goals you now perceive is to say that they are all concerned with "personal" interests. Since you have no personal interests, your goals are really concerned with nothing. In cherishing them, therefore, you have no goals at all. And thus you do not know what anything is for. "Purpose is meaning." These words begin Lesson 25, but we only understand purpose at a level that is superficial, up until now. It is as though we know that a telephone is for the purpose of talking to someone at a distance, but we cannot contact him meaningfully because we don't know what would be the purpose of our contact with him. There is the level of the purpose of a phone versus the deeper level of the purpose of a phone call. When you apply Lesson 25, it is this deeper level of purpose you are referring to when you say, "I do not know what anything is for." Lesson 27 comes with a couple of booster shots. The main exercise is to say, "Above all else I want to see." In case you fear some sacrifice is required by that unconditional statement, you are given these two boosters, "Vision has no cost to anyone." and "It can only bless." It is suggested that you repeat this short sentence once every 15 minutes throughout the day. [page 42] The real question is, how often will you remember? How much do you want today's idea to be true? Answer one of these questions and you have answered the other. These are two great questions to ask about any process "X" that you decide will be beneficial to you. "How often will you X?" will directly depend upon "How much do you want to enjoy the benefits of X?" As we go through the next several exercises, we come to see God is in everything, God is in our minds, we are not the victim of the world we see, and we have invented the world that we see. [Lessons 29-32] Then we are enabled to discover that there is another way of looking at the world, namely, we could see peace instead of this. [Lessons 33, 34] The repetition of this next statement is recommended especially as a way of bringing peace to yourself. [page 52] "I can replace my feelings of depression, anxiety or worry [ or my thoughts about his situation, personality or event] with peace." Lesson 35: "My mind is part of God's. I am very holy." Lesson 36: "My holiness envelops everything I see." Lesson 37: "My holiness blesses the world." Lesson 38: "There is nothing my holiness cannot do." Lesson 39: "My holiness is my salvation." Lesson 39 begins with this amazing question, "If guilt is hell, what is its opposite?" The point is that if we believe guilt is hell, we would not need the workbook because, as the text tells us, "No one needs practice to gain what is already his." 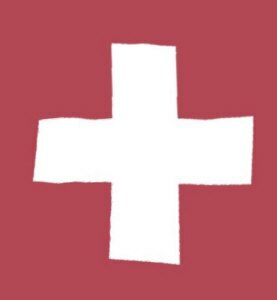 Lesson 40: "I am blessed as a Son of God." Lesson 41: "God goes with me wherever I go." Lesson 42: "God is my Strength. Vision is His gift." Lesson 43: "God is my Source. I cannot see apart from Him." Lesson 44: "God is the Light in which I see." Lesson 45: "God is the Mind with which I think." Lesson 46: "God is the Love in which I forgive." Lesson 47: "God is the Strength in which I trust." Lesson 48: "There is nothing to fear." Take time to absorb Lesson 48 and inspect your reaction to the statement, "There is nothing to fear." It is a simple statement that you can agree with or be appalled by. Which is it for you? What does it mean if you have so much fear in your life that you cannot make or accept this simple statement as a possibility for you or anyone else? It means that the world you see supports the fearful nature of the self-image you have sustained, up until now. [page 77] The presence of fear is a sure sign that you are trusting in your own strength. The awareness that there is nothing to fear shows that somewhere in your mind, though not necessarily in a place you recognize as yet, you have remembered God, and let His strength take the place of your weakness. The instant you are willing to do this there is indeed nothing to fear. A series of review exercises take us up to Lesson 61's dramatic pronouncement that seems blasphemous at first and the height of egoistic self-glorification, "I am the Light of the world." Yet it is with true humility that we accept this idea and repeat it during the day. [page 101] Who is the Light of the world except God's Son? This, then, is merely a statement of the truth about yourself. It is the opposite of a statement of pride, of arrogance, or of self-deception. True humility requires that you accept today's idea because it is God's Voice Which tells you it is true. This is a beginning step in accepting your true function on earth. Lesson 62: "Forgiveness is my function as the light of the world." This is our true function on the earth by which we bring light to the world of darkness. [page 103] It is your forgiveness that lets you recognize the light in which you see. Forgiveness is the demonstration that you are the light of the world. Through your forgiveness does the truth about yourself return to your memory. Therefore, in your forgiveness lies your salvation. Remember that in every attack you call upon your own weakness, while each time you forgive you call upon the strength of Christ in you. Do you not then begin to understand what forgiveness will do for you? It will remove all sense of weakness, strain and fatigue from your mind. It will take away all fear and guilt and pain. It will restore the invulnerability and power God gave His Son to your awareness. A litany of this thought proceeds until we arrive at Lesson 67: "Love created me like Itself." But that means you or I cannot hold a grievance because "to hold a grievance is to see yourself as a body." "To hold a grievance is to let the ego rule your mind and to condemn the body to death." And as Lesson 69 continues: "My grievances hide the light of the world in me." Your grievance is like a dark cloud hiding a brilliant light, but all you can see is cloud. [page 116, 117] Determine to go past the clouds. Reach out and touch them in your mind. Brush them aside with your hand; feel them resting on your cheeks and forehead and eyelids as you go through them. Go on; clouds cannot stop you. What can stop you? The ego's plan for salvation, which depends upon holding grievances, can stop you. The ego holds the idea that if only someone else had spoken or acted differently, or some external event had gone differently, you would have been saved. You are certain that a change is required for everything and everyone but you, up until now. The ego is like Nasruddin in the old Sufi story who is crawling on the ground outside of his house searching for something. A friend comes up and asks if he can help. Nasruddin says, "Yes, I lost my key." And the two of them continue to search around on the ground. Finally his friend says, "Nasruddin, exactly where did you drop your key?" "In the house," Nasruddin says. "If you dropped your key in the house, why are we looking for it out here on the ground?" his friend asked. "Because here there is more light," Nasruddin replied. [page 120] Surely you can see how it is in strict accord with the ego's basic doctrine, "Seek but do not find." For what could more surely guarantee that you will not find salvation than to channelize all your efforts in searching for it where it is not? Lesson 72 says, "Holding grievances is an attack on God's plan for salvation." And that attack is led by the ego whose main goal is to replace God. How better for the ego to argue against God than for it to project all its undesirable characteristics on Him? This is a curious idea at first, but read on as this lesson expands on the theme. [page 122] While we have recognized that the ego's plan for salvation is the opposite of God's, we have not yet emphasized that it is an active attack on His plan, and a deliberate attempt to destroy it. In the attack, God is assigned the attributes which are actually associated with the ego, while the ego appears to take on the attributes of God. The ego's fundamental wish is to replace God. In fact, the ego is the physical embodiment of that wish. For it is that wish that seems to surround the mind with a body, keeping it separate and alone and unable to reach other minds except through the body that was made to imprison it. The limit on communication cannot be the best means to expand communication. Yet the ego would have you believe it is. With Lesson 73, we move in the direction of using the will we share with God, not the "ego's idle wishes, out of which darkness and nothingness arise." [page 125] The will you share with God has all the power of creation in it. The ego's idle wishes are unshared, and therefore have no power at all. Its wishes are not idle in the sense that they can make a world of illusions in which your belief can be very strong. But they are idle indeed in terms of creation. They make nothing that is real. With Lesson 75 we receive a powerful exercise to perform, "The light has come." We have finally moved out of the darkness of the ego and its artificial illusions and grievances and have moved into the light. [page 130] The light has come. You are healed and you can heal. The light has come. You are saved and you can save. You are at peace, and you bring peace with you wherever you go. Darkness and turmoil and death have disappeared. The light has come. Because the light has come, we can say with confidence the words of Lesson 76, "I am under no laws but God's." This may seem a strange thing to say when we live in a world of laws — laws of the State, of medicine, of economics, of health. But this lesson tells us it is insanity to think that these laws will protect us. [page 132] These are not laws, but madness. The body is endangered by the mind that hurts itself. The body suffers just in order that the mind will fail to see it is the victim of itself. The body's suffering is a mask the mind holds up to hide what really suffers. It would not understand it is its own enemy; that it attacks itself and wants to die. It is from this your "laws" would save the body. It is for this you think you are a body. [page 137] Today we will attempt to see God's Son. We will not let ourselves be blind to him; we will not look upon our grievances. So is the seeing of the world reversed, as we look out toward truth, away from fear. We will select one person you have used as target for your grievances, and lay the grievances aside and look at him. Someone, perhaps, you fear and even hate; someone you think you love who angered you; someone you call a friend, but whom you see as difficult at times or hard to please, demanding, irritating or untrue to the ideal he should accept as his, according to the role you set for him. This section ends before the next Review with acknowledgments that our problems have been solved. Lesson 79: "Let me recognize the problem so it can be solved." and 80: "Let me recognize my problems have been solved." [page 153] Today I would remember the simplicity of salvation by reinforcing the lesson that there is one problem and one solution. The problem is a grievance; the solution is a miracle. And I invite the solution to come through my forgiveness of the grievance, and my welcome of the miracle that takes its place. When the next Lesson after the Review lessons, No. 91, picks up, we are asked to practice saying and thinking, "Miracles are seen in light." This is to be the central idea of our "new thought system." "I am not weak, but strong." "I am not helpless, but all powerful." "I am not limited, but unlimited." "I am not doubtful, but certain." "I am not an illusion, but a reality." "I cannot see in darkness, but in light." I live in His reality. Who hear the Holy Word I hear. And change the world accordingly. And choose my own reality. When I worked in the Foxboro Co. Software Research Department back in 1975, my supervisor was a Norwegian named Per Holst. He told me that in the Norwegian Boy Scout Handbook in the section on map reading it said, "When the terrain differs from the map, believe the terrain." I have always remembered that, and when I encountered the writings of the Alfred O. Korzybski where he said, time and again, "The map is not the territory," I was reminded of Per's words to me. 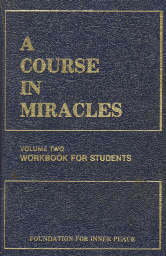 In Lesson 96 of this book: "Salvation comes from my true Self," terrain and map are equated to truth and illusion in the following statement, "The fact that truth and illusion cannot be reconciled, no matter how hard you try, what means you use and where you see the problem, must be accepted if you would be saved." To confuse terrain and map would leave you open to the same kind of error as a man who went to dine at Antoine's Restaurant in New Orleans, ate the menu, and then complained about the food at this famous gourmet restaurant. Rightly understood, this is the kind of error that the ego makes when it confuses truth with the ego's own manufactured illusions. The man spoiled one dinner, but the ego can spoil one's entire lifetime unless one learns to distinguish truth from illusion, one's true Self from one's ego. When one can make that distinction, one will no longer try to solve the problems created by one's ego, problems which, in truth, do not exist. [page 167, 168] Spirit makes use of mind as means to find its Self-expression. . . . mind apart from spirit cannot think. It has denied its Source of strength, and sees itself as helpless, limited and weak. Dissociated from its function now, it thinks it is alone and separate, attacked by armies massed against itself and hiding in the body's frail support. Now must it reconcile unlike with like, for this is what it thinks that it is for. Waste no more time on this. Who can resolve the senseless conflicts which a dream [RJM: map or ego production] presents? What could the resolution mean in truth? What purpose could it serve? What is it for? Salvation cannot make illusions real, nor solve a problem that does not exist. The words of Lesson 97, "I am spirit" leads off a litany of exercises in which we accept our part in God's plan for salvation and recognize that plan involves peace and joy for us. When we reach Lesson 106, we learn the power of meditation, the power of the empty basket, the power of the empty tea cup, the power of our mind purified of the ego's mad productions, as we work our way through this simple and powerful exercise: "Let me be still and listen to the truth." [page 187] Listen today, and you will hear a Voice Which will resound throughout the world through you. But first, we are told to pose this unanswered question, "What does it mean to give and receive?" and to "Ask and expect an answer." [page 188] Your request is one whose answer has been waiting long to be received by you. It will begin the ministry for which you came, and which will free the world from thinking giving is a way to lose. And so the world becomes ready to understand and to receive. "How boring to sit there doing nothing!" the ego whispers in one's ear if one imagines sitting in meditation. Haven't you already heard that voice? It is the voice of illusion, but a very familiar and convincing voice. A voice that would dearly love to keep you outside looking fruitlessly for a key that, rightly understood, is inside. What is one to do? [page 188] Be still and listen to the truth today. For each five minutes spent in listening, a thousand minds are opened to the truth and they will hear the holy Word you hear. My voice is His, to give what I receive." Lesson 109 tells us, "I rest in God." And as you rest in God, call your brothers to their rest along with you, forgetting no one. [page 194] Open the temple doors and let them come from far across the world, and near as well; your distant brothers and your closest friends; bid them all enter here and rest with you. . . . give to those unborn and those passed by, to every Thought of God, and to the Mind in which these Thoughts were born and where they rest. And we remind them of their resting place each time we tell ourselves, "I rest in God." By the time we reach Lesson 122 "Forgiveness offers everything I want" we might wonder how much further have we to go. The news we receive is heartening. [page 214] Begin in hopefulness, for we have reached the turning point at which the road becomes far easier. . . . Today it will given to you to feel the peace forgiveness offers, and the joy the lifting of the veil holds out to you. The next passage, coming immediately after the one above, is a powerful passage, one that spoke loudly to me and asked to be incorporated with minor modifications in my marriage ceremony. In all the marriages that I have performed in the past two decades this passage has appeared, and no one has ever asked me what it means. They simply know. [page 214] Before the light you will receive today the world will fade until it disappears and you will see another world arise you have no words to picture. Now we walk directly into light, and we receive the gifts that have been held in store for us since time began, kept waiting for today. These Lessons, these verses, are like shining footprints in the sands of time for us to follow and we no longer feel lost as we step into these footprints. Lesson 124 tells you to keep this in your mind today, "Let me remember I am one with God." [page 218] Our shining footprints point the way to truth, for God is our Companion as we walk the world a little while. And those who come to follow us will recognize the way because the light we carry stays behind, yet still remains with us as we walk on. In Matherne's Rule #9 we find a recursive rule, "This is the first time you have read Matherne's Rules, up until now." It refers to itself so that there can be no mistake of the nature of the statement — it expresses a definite fact for the person who is reading it for the first time. It is a deed that is happening as one reads the statement. It is expressing a limitation in one's life, namely, that one has not previously read MR#9 — a seemingly trivial limitation, but a limitation nevertheless. What happens after the statement of the limitation? By the time one reaches the comma, one's limitation is in one's past, and one can never return to the state of not having read MR#9. As one pauses at the comma, a release from the limitation stated thus far is accomplished and one acknowledges that release by a breath of life before continuing with the denouement: "up until now." In MR#9 we have a demonstration of stating a limitation followed by an erasure of the limitation stated, and thus the name "limitation eraser" was given to its final clause <, up until now>. When you apply the limitation eraser to the end of a sentence in which you state something that is now and has always been true for you in your life or in the world, as you experience it, the 'world in infancy is newly born' for you. [page 226] Today the legion of the future years of waiting for salvation disappears before the timelessness of what you learn. Let us give thanks today that we are spared a future like the past. Today we leave the past behind us, nevermore to be remembered. And we raise our eyes upon a different present, where a future dawns unlike the past in every attribute. The world in infancy is newly born. With every evocation of the limitation eraser, you are spared a future like the past. The world in infancy is newly born, and a new world awaits you have no words to picture. It is a new world that will greet you from now on. The only thing you have to lose is loss itself, to paraphrase Lesson 129. When I was doing psychotherapy twenty-five years ago, I had a sign in my office which said, "I don't avoid Confusion, I create it." I suspect few understood the purpose of the sign. Why should a therapist try to create confusion? Isn't there enough confusion already in the world? What I had learned to do was to raise to question the source of what those who came to me seeking help thought was their real world, which world was but an illusion they had created for themselves, not truth. [page 236] A madman thinks the world he sees is real, and does not doubt it. Nor can he be swayed by questioning his thoughts' effects. It is but when their source is raised to question that the hope of freedom comes to him at last. Those who came to me were convinced that the world was a given, not something they had created. They merely arrived in a world and found that they didn't like it, and because it was already that way when they arrived, they felt helpless to change it. Ah, there's the rub! They felt helpless and they felt helpless to change the way they felt. They themselves were part of the world they felt helpless to change. What they needed was a good dose, not of a psychotropic drug, but of the exercise provided by Lesson 132, "I loose the world from all I thought it was." It is a deep explication of the insight provided by the simple acronym, EAT-O-TWIST. When you change how you suppose the world to be, the world will turn out to be the new way you suppose. Remember, EAT-O-TWIST never breaks. [page 236] Perhaps you think you did not make the world, but came unwillingly to what was made already, hardly waiting for your thoughts to give it meaning. Yet in truth you found exactly what you looked for when you came. There is no world apart from what you wish, and herein lies your ultimate release. Change but your mind on what you want to see, and all the world must change accordingly. Lesson 134 exhorts us to exercise this thought in ourselves, "Let me perceive forgiveness as it is." Ah yes, we already think we know what forgiveness is, don't we? Does this describe the way you think of forgiveness or pardon? [page 242] You conceive of pardon as a vain attempt to look past what is there; to overlook the truth, in an unfounded effort to deceive yourself by making an illusion true. But what then is pardon? What is the forgiveness that the Lord's Prayer tells we are to apply to others as we wish it applied to ourselves? It is not pardon. [page 242] Pardon . . . is merely a further sign that sin is unforgivable, at best to be concealed, denied or called another name, for pardon is a treachery to truth. Guilt cannot be forgiven. If you sin, your guilt is everlasting. Those who are forgiven from the view their sins are real are pitifully mocked and twice condemned; first, by themselves for what they think they did, and once again by those who pardon them. What can we say to someone insane with guilt? We can heed the words of Lesson 134, and look upon them with quiet eyes and say, "My brother, what you think is not the truth." Why is it not the truth? Because the sin of which they feel guilty is an illusion, it is not real. [page 242, 243] It is sin's unreality that makes forgiveness natural and wholly sane, a deep relief to those who offer it; a quiet blessing where it is received. It does not countenance illusions, but collects them lightly, with a little laugh, and gently lays them at the feet of truth. And there they disappear entirely. The forgiveness we wish for is our own acceptance of the unreality of sin. The unreality of sin is but the illusory reality of sin that is created by the ego. [page 243] Forgiveness stands between illusions and the truth; between the world you see and that which lies beyond; between the hell of guilt and Heaven's gate. Across this bridge, as powerful as Love which laid its blessing on it, are all dreams of evil and of hatred and attack brought silently to truth. Lesson 135 explains how to free oneself from attacks by switching the usual order of things as set by the ego. The ego would say, "If I am attacked I defend myself." This lesson has us practice this thought, "If I defend myself I am attacked." Defense is a folly, it tells us, it turns the illusion of being attacked into a reality, "thus making correction doubly difficult." Consider how difficult this would be to explain to someone else and then be glad that it is only yourself that needs convincing, an easier job for you who have done the exercises suggested so far in this book. You know that "A sense of threat is an acknowledgment of an inherent weakness." [page 245] The world is based on this insane belief. And all its structures, all its thoughts and doubts, its penalties and heavy armaments, its legal definitions and its codes, its ethics and its leaders and its gods, all serve but to preserve its sense of threat. For no one walks the world in armature but must have terror striking at his heart. I first encountered this idea in Carlos Castaneda's work A Separate Reality where don Juan admonishes Carlos, "What you call accidents are, most of the time, very easy to avoid, except for fools who are living helter-skelter." Carlos, an anthropologist who is accustomed to codes, ethics, and defense against threat, tosses don Juan this challenge, "Imagine that someone is waiting for you with a powerful rifle with a telescopic sight; he could spot you accurately five hundred yards away. What would you do?" Don Juan laughs and says in effect, "I would not be walking down that street." Can you understand that "living helter-skelter" was don Juan's way of talking about living in the illusory world of the ego where there is no real protection, only a bouncing around from one illusion of protection to another? Lesson 135 tells us, "it is not the body that can fear, nor be a thing of fear." Our body has no needs but those we give it. [page 245] It needs no complicated health structures of defense, no health-inducing medicine, no care and no concern at all. Defend its life, or give it gifts to make it beautiful or walls to make it safe, and you but say your home is open to the thief of time, corruptible and crumbling, so unsafe it must be guarded with your very life. If we consider the natural processes of aging as something we must defend ourselves against, we have allowed the ego to mistake our body for our life and have caused the very things to happen that we most wanted to avoid. "Don't think of a pink elephant" Now, what was the color of that elephant? If you remember pink, you know from this simple demonstration that what you seek to avoid you create more of. Create a defense for the body and it will cease to be healthy — that is the lesson for us. [page 246] The body is in need of no defense. This cannot be too often emphasized. It will be strong and healthy if the mind does not abuse it by assigning it to roles it cannot fill, to purposes beyond its scope, and to exalted aims which it cannot accomplish. Such attempts, ridiculous yet deeply cherished, are the sources for the many mad attacks you make upon it. For it seems to fail your hopes, your need, your values and your dreams. What are we to do if not plan? The answer is simple. "Let go and let God." is one way of thinking about it. "Not my will, but Thy Will be done" is another. [page 246] A healed mind does not plan. It carries out the plans that it receives through listening to Wisdom that is not its own. It waits until it has been taught what should be done, and then proceeds to do it. It does not depend upon itself for anything except its adequacy to fulfill the plans assigned to it. It is secure in certainty that obstacles can not impede its progress to accomplishment of any goal that serves the greater plan established for the good of everyone. Lesson 135 tells us, "The mind that plans is thus refusing to allow for change." It builds those plans on what has come before and thus its plans are built on the sand of past experience, which provides no stability in the long-term because the first flood will wash away its foundation. [page 247] And it does not see that here and now is everything it needs to guarantee a future quite unlike the past, without a continuity of any old ideas and sick beliefs. Anticipation plays no part at all, for present confidence directs the way. . . . What could you not accept if you but knew that everything that happens, all events, past, present and to come, are gently planned by One Whose only purpose is your good? The last sentence of the previous passage is concisely expressed in the acronym and healing anthem, EAT-O-TWIST, rightly understood. Another thing to remember is this: Defenses Darken Delight. While you make plans for death, He leads you gently to eternal life. Accept His lead today, now, in this time, in this place, and receive the gifts kept waiting for you. Are you ready to accept joy into your life? [page 248] Your present trust in Him is the defense that promises a future undisturbed, without a trace of sorrow, and with joy that constantly increases, as this life becomes a holy instant, set in time, but heeding only immortality. . . . Without defenses, you become a light which Heaven gratefully acknowledges to be its own. And it will lead you on in ways appointed for your happiness according to the ancient plan, begun when time was born. Your followers will join their light with yours, and it will be increased until the world is lighted up with joy. And gladly will our brothers lay aside their cumbersome defenses, which availed them nothing and could only terrify. Today is the Eastertime of your salvation. Lay aside your cumbersome defenses. And this next prayer which I first wrote on page 253 on April 1, 1982 in response to Lessons 135 and 136 urging that today "we will give a quarter of an hour twice to ask the truth to come to us and set us free." Those two fifteen minute breaks corresponded to the breaks I had during my work days at a nuclear power plant and I used those breaks to help me through those trying days. In the middle of a Sea o'Lies. [pages 255, 256] We will remember, as the hour strikes, our function is to let our minds be healed, that we may carry healing to the world, exchanging curse for blessing, pain for joy, and separation for the peace of God. "Are you saying, Bobby, that you reject the cures that medicine provides?" No, I'm not saying that, but that is exactly what this course is saying and it can't be any clearer that Lesson 140, "Only salvation can be said to cure." Often what happens when one gets sick, one begins taking medications and during the course of the illness, one has a change of mind and a miracle occurs — one gets better and one attributes the cure to the medications prescribed by the doctor, completely ignoring the effect of the salvation that came to one as triggered by the illness. [page 263] "Cure" is a word that cannot be applied to any remedy the world accepts as beneficial. What the world perceives as therapeutic is but what will make the body "better." When it tries to heal the mind, it sees no separation from the body, where it thinks the mind exists. Its forms of healing thus must substitute illusion for illusion. One belief in sickness takes another form, and so the patient now perceives himself as well. He is not healed. He merely had a dream that he was sick, and in the dream he found a magic formula to make him well. . . . The dreams forgiveness lets the mind perceive do not induce another form of sleep, so that the dreamer dreams another dream. His happy dreams are heralds of the dawn of truth upon the mind. They lead from sleep to gentle waking, so that dreams are gone. And thus they cure for all eternity. In several places in Rudolf Steiner's lectures he indicates that when you awaken from a dream feeling happy, it is a strong indication that everything is right in your world. Another way of saying right is that guilt is absent from your life. Sickness is but another form of guilt. When you accept atonement for yourself as Lesson 139 urges, "I will accept Atonement for myself," you enter a state of at-one-ment with your Self and remain as God created you — without guilt and therefore without sickness. Hear these Heralds of the dawn of Truth upon the Mind! So that dreams are gone — replaced by Truth. After a review we come up to Lesson 151, "All things are echoes of the Voice for God." We are reminded that the ego uses reports from the senses to judge others: what we see with our eyes, what we touch with our fingers, hear with our ears. The Voice for God ignores such illusions of the ego. [page 272] He passes by such idle witnesses, which merely bear false witness to God's Son. He recognizes only what God loves, and in the holy light to what He sees do all the ego's dreams of what you are vanish before the splendor He beholds. He does not hear the urgent whispers of the ego which insists that its illusions are real, for He can only laugh at guilt, and has no interest of playing with the toys of sin. "His lessons will enable you to bridge the gap between illusions and the truth." [page 272] He will remove all faith that you have placed in pain, disaster, suffering and loss. He gives you vision which can look beyond these grim appearances, and can behold the gentle face of Christ in all of them. You will no longer doubt that only good can come to you who are beloved of God, for He will judge all happenings, and teach the single lesson that they all contain. [page 278] Salvation can be thought of as a game that happy children play. It was designed by One Who loves His children, and Who would replace their fearful toys with joyous games, which teach them that the game of fear is gone. His game instructs in happiness because there is no loser. Everyone who plays must win, and in his winning is the gain to everyone ensured. The game of fear is gladly laid aside, when children come to see the benefits salvation brings. "I am among the ministers of God. By which to recognize that I am free." The world recedes as we light up our minds, and realize these holy words are true. They are the message sent to us today from our Creator. Now we demonstrate how they have changed our minds about ourselves, and what our function is. For as we prove that we accept no will we do not share, our many gifts from our Creator will spring to our sight and leap into our hands, and we will recognize what we received. Lesson 155 is powerful as it tells us to practice this thought, "I will step back and let Him lead the way." Where are we heading? "We walk to God," the lesson tells us. We are admonished to "walk safely now, yet carefully" avoiding the temptation to "walk ahead of truth, and let illusions be our guide." And as we walk to the truth our holy brothers follow in our footsteps. [page 286] Your feet are safely set upon the road that leads the world to God. Look not to ways that seem to lead you elsewhere. Dreams are not a worthy guide for you who are God's Son. Forget not He has placed His hand in yours, and given you your brothers in His Trust that you are worthy of His Trust in you. He cannot be deceived. His Trust has made your pathway certain and your goal secure. You will not fail your brothers nor your Self. For I would walk along the road to Him." that the world is sanctified because of you. And see my perfect sinlessness in you." And He will answer Whom you called upon. For He will hear the Voice for God in you, and answer in your own. Behold him now, whom you have seen as merely flesh and bone, and recognize that Christ has come to you. Today's idea is your safe escape from anger and from fear. Be sure you use it instantly, should you be tempted to attack a brother and perceive him the symbol of your fear. And you will see him suddenly transformed from enemy to savior; from the devil into Christ. And if you should ever falter in your conviction, remember this, The Light that is in you is greater than the darkness that is around you. The next review section from 171 through 179 reprises 151 through 170 and adds this remember after each reviewed lesson, "God is but Love, and therefore so am I." [page 328] Experience of what exists beyond defensiveness remains beyond achievement while it is denied. [page 356] The way is simple. Every time you feel a stab of anger, realize you hold a sword above your head. And it will fall or be averted as you choose to be condemned or free. Thus does each one who seems to tempt you to be angry represent your savior from the prison house of death. And so you owe him thanks instead of pain. As we come toward the end of our review of the Course in Miracles the question may yet arise, "What is a miracle?" Between Lessons 340 and 341 is a page devoted to answering that question. [page 463] A miracle is a correction. A miracle contains the gift of grace, for it is given and received as one. Forgiveness is the home of miracles. Miracles fall like drops of healing rain from Heaven on a dry and dusty world, where staved and thirsty creatures come to die. Now they have water. Now the world is green. And everywhere the signs of life spring up, to show that what is born can never die, for what has life has immortality. We have reached the end of our review of the Workbook of the Course in Miracles, but it is really the beginning of a glimpse of what is possible for you. The choice is yours. Do you have a question? Remember that a question mark is simply an incomplete exclamation mark. Completion is the task that you can choose in freedom to begin from now on. Here are three items that I have rescued from the marginalia of this book to share with you. They didn't fit within the body of the review, so I offer them here for you. Go in peace. We just now came in on in the middle of. Truth is, what is true for? Truth is what is, true?